Up On Tippy Toes: 3D Embossed Chipboard Card- How's It Growing? How's it growin', everyone? LOL Sorry, I couldn't help myself! This is such an awesome pun! And it goes perfectly with today's project. I'm here with Team Xyron. And all week long we will be playing along with Acco Brands to feature some amazing projects that we can create using their fabulous Swingline line of trimmers and staplers. 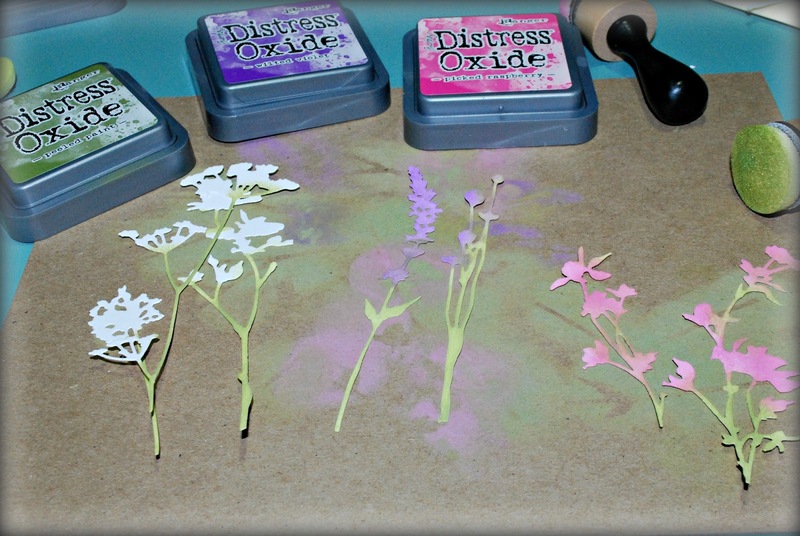 Today, I created a beautiful garden on chipboard. I love using chipboard to add dimension to my projects. 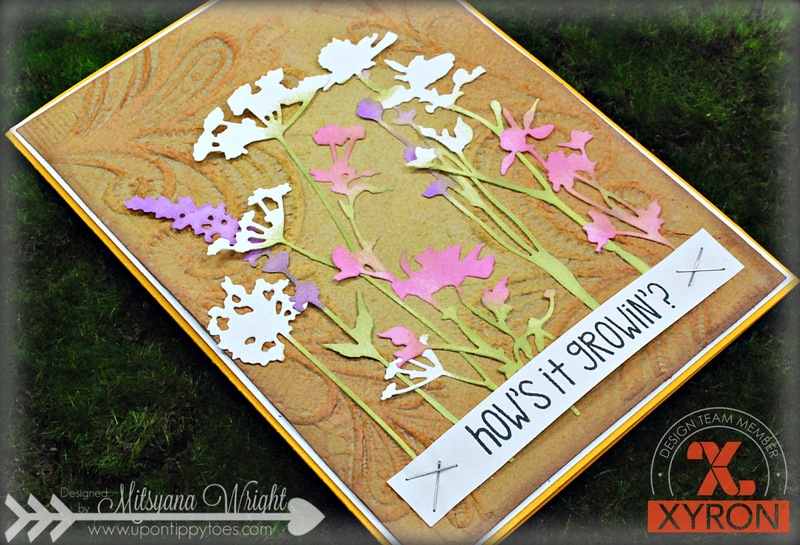 Most times I die-cut chipboard or use it to lift die-cuts and other embellishments up off my projects. But this time I'm giving chipboard dimension. 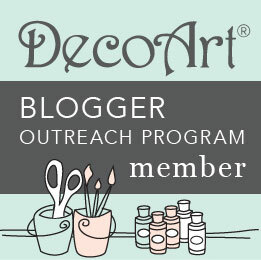 By embossing right into the chipboard. But first thing's first. 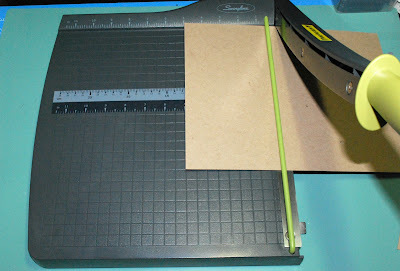 I need to cut my chipboard down to a workable size and with the Classic Cut Lite Guillotine Trimmer, trimming chipboard is a breeze. This trimmer can cut up to 10 sheets of cardstock at a time. So, it cut through this sheet like a hot knife through butter! I cut my chipboard down to 4.75" x 6.75". 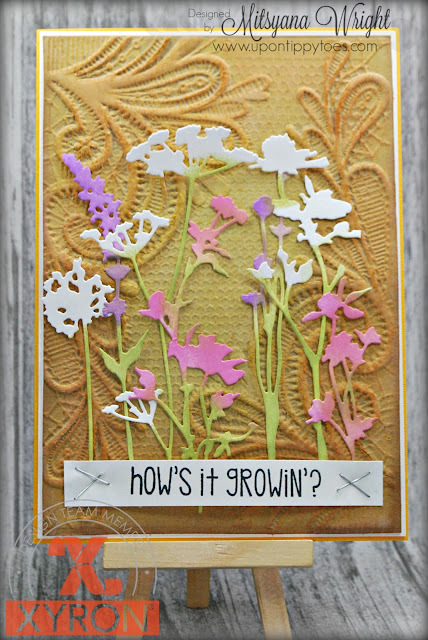 Then, used Crafter's Companion 3D embossing folder, Ornate Lace, and ran it through my die-cut machine. Once embossed, I inked the entire chipboard using Tim Holtz Distress Oxide Inks in Fossilized Amber and Spiced Marmalade. 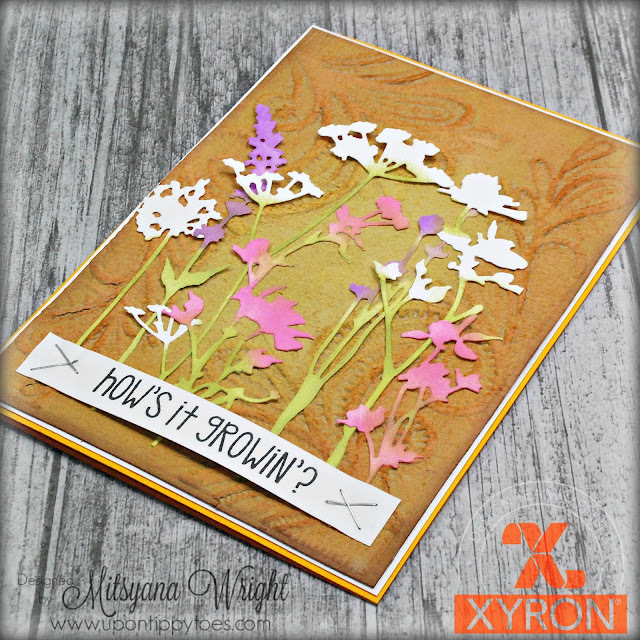 After the chipboard was completely inked, I ran it through my Xyron Creative Station Lite. Even after I cut through chipboard, this trimmer cuts smoothly through cardstock. I trimmed a card base out of marigold cardstock and each cut was still crisp with NO FRAYED EDGES!! I mounted my embossed chipboard onto a 4-7/8" x 6/78" piece of white cardstock, then attached it to a 5" x 7" card base using my Xyron Mega Runner. 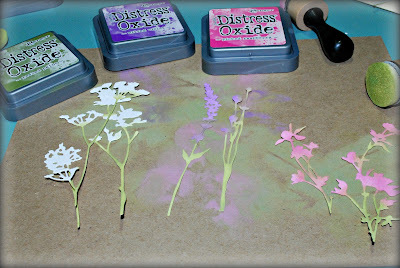 I die-cut various flowers from white cardstock using the Tim Holtz Wildflower die set and shaded them using Peeled Paint, Wilted Violet, and Picked Raspberry Distress Oxide Inks. I used tiny dabs of glue to secure onto the card front. Then stamped my sentiment from the Pink and Main Funny Farmer stamp set using Momento Tuxedo Black ink onto a strip of white cardstock. Then used my Swingline Stapler to attach it to the front of the card. Again I was most definitely impressed... The staple not only went through the white cardstock but also the chipboard and 2 more additional layers of cardstock as well! This thing is HEAVY DUTY!! I am totally loving it!! Check out all that texture and that deep embossing from that folder! Well, that's my project for today! I hope you enjoyed this tutorial! 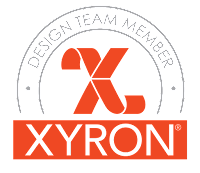 Don't forget to check Xyron's Facebook page all week for more amazing projects from Xyron and Acco Brands! This is lovely. I'll have to remember the chipboard embossing idea. Krista, I'm so glad you enjoyed my card! Incorporating chipboard is so much fun! I hope you enjoyed experimenting with it!